Congratulations to Marathon Coach owner Kevin Harvick for his third win in a row. 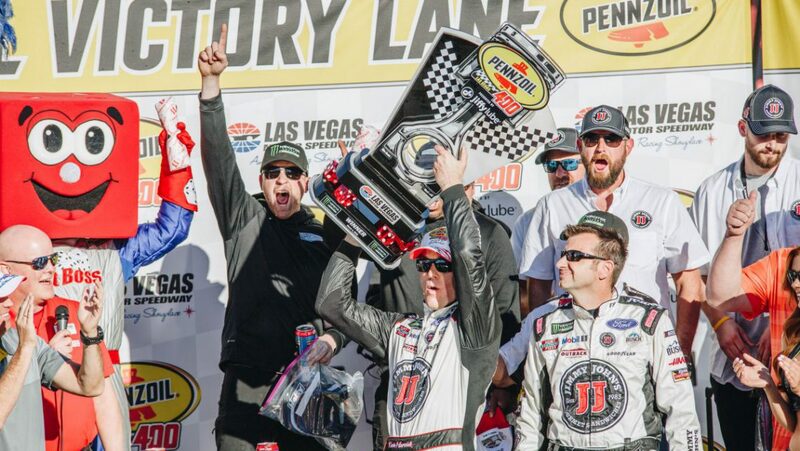 Winning two weeks ago in Atlanta and last week at the Las Vegas, where because of the timing of Marathon’s NASCAR Rally, much of the Marathon family was at the speedway to cheer him on to his March 4 victory, we’re thrilled to see him take on a third win at Sunday’s TicketGuardian 500 at ISM Raceway. Also racing yesterday was Marathon Coach owner Chase Elliot. Congratulations to Chase for coming in third, and good luck to all our Marathon Coach owners competing in upcoming NASCAR races!